Privacy | Botwinick & Co.
We want to provide you with a level of comfort while enjoying our website. Part of that comfort is the security of knowing that any information you give us will remain private. Botwinick & Company, LLC uses various organizational and technical measures to protect your privacy and avoid unauthorized use or disclosure of your personal data. However, you should note that no transfer of data over the internet is completely secure. While we use reasonable efforts to protect your data on our systems, when the data is transferred over the internet, it may be accessed and used by unauthorized third parties. We have no control over the performance, reliability, availability or security of the internet and do not warrant that any information transfer via the internet or any communication through the internet is secure. 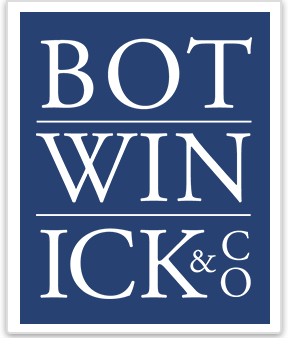 Botwinick & Company, LLC shall not be liable for any disclosure, unauthorized use, loss, damage, expense, harm or inconvenience resulting from the loss, delay, interception, corruption, intervention, misuse or alteration of any personal information due to any reason beyond our reasonable control. We will not gather your personal information without your permission. We will not link your IP address to anything identifiable. All browsing on our site is done anonymously. If personal information is required for any reason, that information will be used solely by Botwinick & Company, LLC. This information can only be taken if you voluntarily choose to give it to us. At no time will we sell personal information, or make it otherwise available to any third party companies. Botwinick & Company, LLC reserves the right to use submitted personal information for marketing and promotional purposes. Although our website is suited for all ages, no information should be submitted from those under the age of 18, without the consent of a parent or guardian. If you feel that Botwinick & Company LLC has not adhered to the above policy, please notify us at (201) 909-0090 , and we will work to determine the problem and correct it.